Home / Celebrities Gist / Lifestyle / Media personality​ Toke Makinwa Shows off her New Range Rover ride and Hermes Birkin bag! Media personality​ Toke Makinwa Shows off her New Range Rover ride and Hermes Birkin bag! 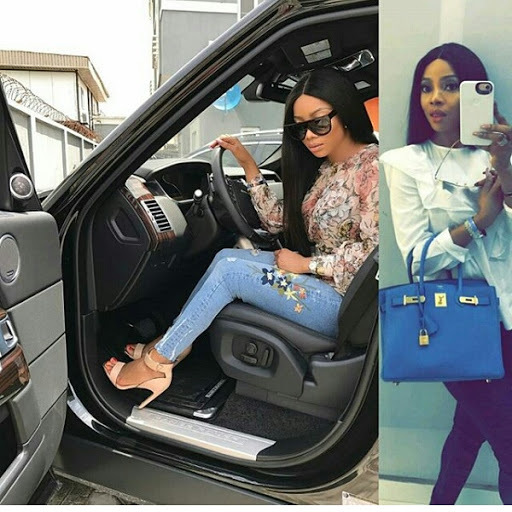 Popular Media personality​ Toke Makinwa newly acquired a Hermes Birkin bag and a Range Rover ride, the ride of her dreams as she said on her IG page and she cares​ less what people think about it. Don't bother calculating the figures if you don't want to choke. Lolz! Flaunt it girl, you worked for it.